ItemA-03799 - Bowron Lake Reserve - West End Of Bowron Lake. ItemA-03744 - The Last Chance Mine, near Sandon. ItemA-04082 - Prince George Indian Village. ItemA-04068 - Pack train on the telegraph trail near Hazelton. ItemA-04069 - The Manson Creek Trail. ItemA-04074 - Mining cabins, Vital Creek. 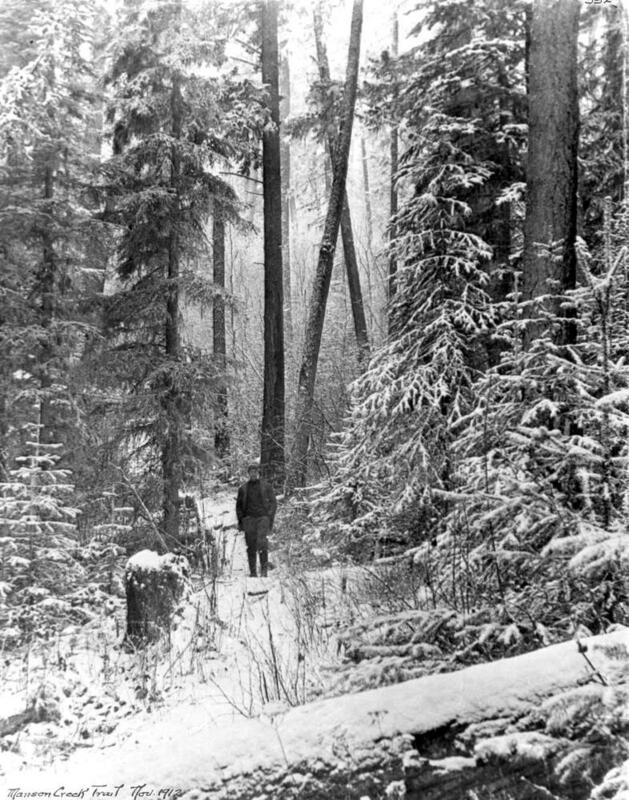 Item A-04069 - The Manson Creek Trail.